“Good morning,” she says, coffee buzzing in her grip. “How’s it going,” Mike states, doesn’t ask. “Living the dream,” Dave quips. Sarcastic? Who can tell. “Do anything interesting over the weekend?” she tries. Mike staggers to the bathroom. Door thud her only reply. Dave surveys the break room awkwardly: ceiling panes, Nestea packets, trashcan—anything but her eyes. She sighs and walks away. “Happy to gather for another meeting that could have been an email,” Stan chuckles. “Ope, looks like Greg’s got the Monday face,” Andrew pokes. “Did I have a hard weekend, or hardly any weekend at all is what I always say,” Jerry says, like always. Peanut brittle laughter snaps between their jaws, staccato starts finish with chewy, contented murmurs. She never liked such sugar. Second item: CEO Carl walks in late. Begins meeting with a greedy clap. “So the numbers, the numbers are looking good. Up 12.4 percent over last March, but that’s counting NB3s like they’re NB1s…” Pinging jargon ricochets round floating clichés. She waits for one to hit. Hopes that it kills. Unreferenced numbers provide the backdrop, a gray curtain of statistical rain. The assault continues for 28 straight minutes. “We can’t go lower than our state approved rates,” Chester shrugs. “What about the flex rate? I know Barry’s used a flex rate before!” Mark yells. “We need to reapply for the transition rates,” she helps. “We don’t have a flex rate.” Reggie objects. “We can get this—we just need to apply!” No matter how she says it, no one seems to hear. She spins around in her chair, but no one seems to notice. She coughs and speaks again, but no one seems to care. Final notes: No solution reached. Circle back on it next week. High fives are exchanged. Coats are grabbed. The digital clock strikes four and the room empties. She is alone. Her bonus envelope lies abandoned on the floor. But when she picks it up, she finds another underneath. Clean of footprints. Uncrumpled. Her coworker Barry’s name printed on the front. He didn’t make it in today. He doesn’t make it in on a lot of Mondays. It isn’t right; she slices open the bonus letters. She knows it isn’t right; she looks at her check amount, sees an extra digit in his. She’s always known; she was right. She doesn’t even bother resealing the envelopes. Her face falls Zen. A smile flickers at her lips. And sparks alight in the irises of her eyes. 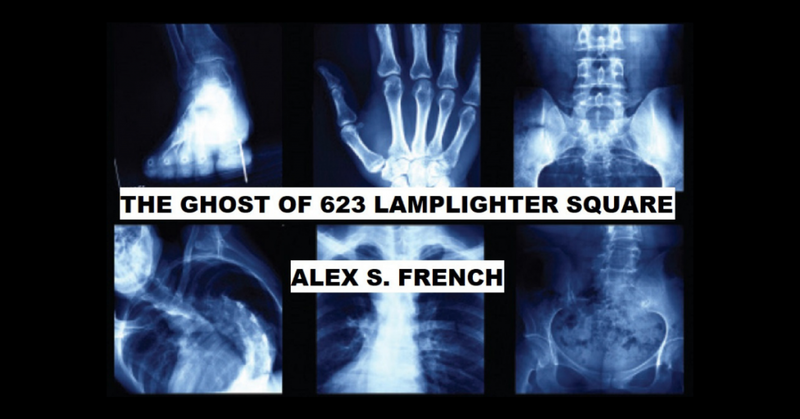 There were lots of stories as to how 623 Lamplighter Square burned down. Electrical fire. That coffee pot was always sketch. Insurance arson. Apparently the business wasn’t doing well; they’d fallen behind the market’s current premiums and rates. Teenagers. Because. But no one blamed the ghost. How could they blame someone whom they refused to notice? She’s moved on to a better place now. Some think it’s Canada. Some think it’s the future. She calls it a place her own. Either way, she lives in limbo no more.